Apple's Mac and Apple II computers have been used in classrooms for more than 30 years, but cheaper hardware from rival Google is putting the squeeze on Apple's dominant position in education. The two companies target education from very different perspectives that play to their respective strengths. Google's objective is also slightly different than Apple's, because it primarily focuses on selling hardware for students that promotes its software services, while Apple pursues a more hardware-specific approach along with tools for teachers, according to a set of analysts who follow the education tech market. 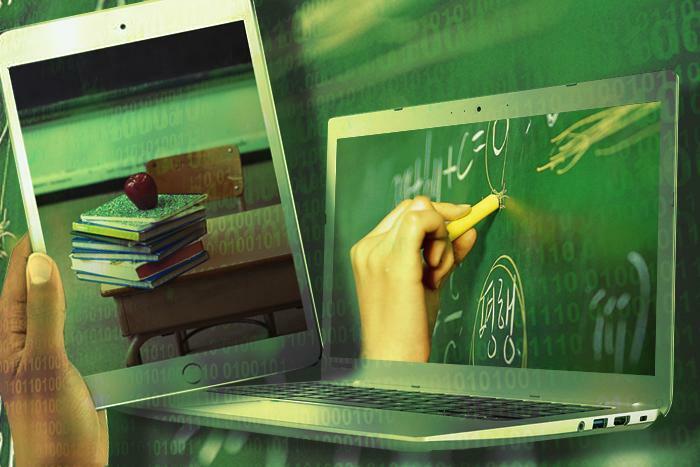 Computing device shipments to K-12 classrooms in the United States reached 10.9 million units during 2015, according to research firm IDC, a CIO.com sister company. Android and Chrome devices from Google accounted for roughly 5.5 million units shipped to schools, while macOS and iOS devices from Apple accounted for 2.9 million units, according to Linn Huang, research director at IDC. The 5.5 million units Google shipped to classrooms in 2015 included roughly 5.26 million Chrome OS devices (mostly Chromebooks) and about 256,000 Android devices, according to IDC. Apple shipped about 2.1 million iOS devices (mostly iPads) and roughly 806,000 Macs to U.S. classrooms during the same year, Huang says. As of last month, at least 20 million students used Chromebooks globally, according to Google. The company doesn't release sales figures, but a spokesperson said more than 15 million devices have been sold to education institutions around the world to date. Google also says more than 60 million students, teachers and administrators use its G Suite for Education apps worldwide. Apple's biggest challenge in the education market is that it doesn't have a low-cost PC, according to Dawson. "[I]t's using the iPad to try to fill that slot," he says. "For many tasks, that's a totally appropriate substitute, but for others it likely isn't — most students aren't going to learn to touch type on an iPad, for example." For both companies, tackling the education market is ultimately about two objectives, according to Dawson: sales and customer loyalty. "The direct objective is to sell more stuff, while the indirect one is about teaching the next generation of buyers to use and prefer their hardware, software and services," he says. "If you hook someone on your stuff in elementary school, you may well have hooked them for life." Baker sees the landscape somewhat differently. Google is focused on getting as many Chromebooks into classrooms as it can, he says, while Apple pursues a more complete offering with services and tools for teachers in addition to students. "The Apple offering is a bit more comprehensive and curriculum-centric than the Google offering, but Google has the platform so it's allowing them to definitely make some inroads."